Stamford, CT - AmeriCares, the emergency response and global health organization, has welcomed Jed Selkowitz as its Senior Vice President and Chief Marketing Officer. In his new role, Selkowitz is charged with providing both strategic leadership and hands-on tactical execution of the organization’s brand marketing and communications efforts. He brings to AmeriCares nearly 20 years of senior marketing and strategy experience, including work with some of the world’s most recognizable brands. Selkowitz previously served as a vice president at iHeartMedia, where he oversaw the mass media company’s strategic partnerships with leading national brands including American Express, AT&T, Coca-Cola and Johnson & Johnson. Selkowitz also headed up U.S. business development for Simon Fuller’s XIX Entertainment and spent 10 years at The Coca-Cola Company. As head of entertainment marketing for Coca-Cola’s North America division, Selkowitz was responsible for leading industry relationships and packaging entertainment platforms with Coca-Cola Company brands. He oversaw key entertainment partnerships, including American Idol, American Music Awards, and the Academy Awards, as well as all product placement in TV and film and talent deals with Ryan Seacrest and Heidi Klum, amongst others. 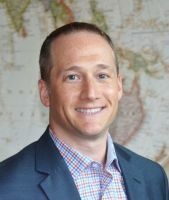 Selkowitz earned a bachelor’s degree in political science from the University of Delaware and an M.B.A in marketing from Emory University. He serves on the board of directors of the We Are Family Foundation and the Jack & Jill Late Stage Cancer Foundation, and he previously served on the board of the Georgia chapter of the Lupus Foundation of America. A native of Stamford, Conn., Selkowitz lives in New York City.